'Poetry should strike the reader as a wording of his own highest thoughts and appear almost a remembrance’. After the 2015 Festival we received dozens of mails and texts from happy audience members and participants. Thanks to all you guys for putting it on. Seemed to go very smoothly. And thanks for your kind remarks and the chance to participate. I didn’t get the opportunity to thank Penelope, as we always seemed to be at opposite ends of crowds, but I’m very grateful for her selecting my poem. Just a quick thank you from me for such a wonderful prize-giving event. 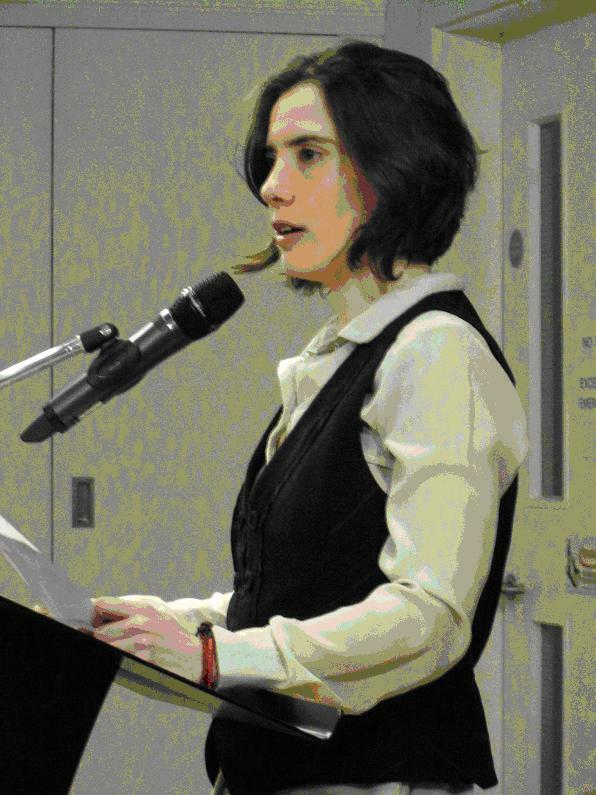 Thank you for organising it - it was wonderful to meet the other shortlisted poets and hear Penelope read…. 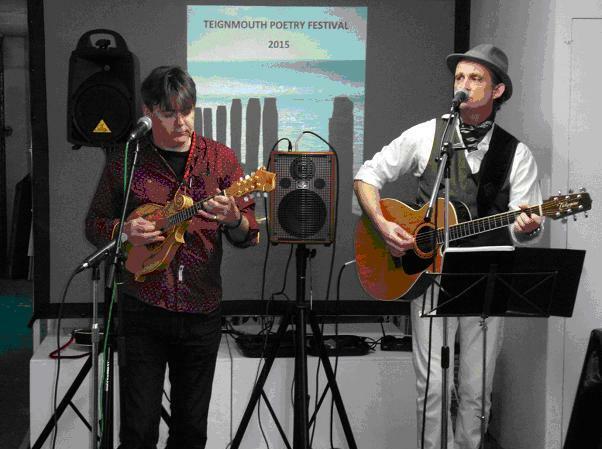 A willing band of volunteers made sure the Teignmouth Poetry Festival 2015 went without a hitch. Thirteen official events over four days kept organisers and guest performers busy, and the town hosted Festival visitors from many parts of the country. 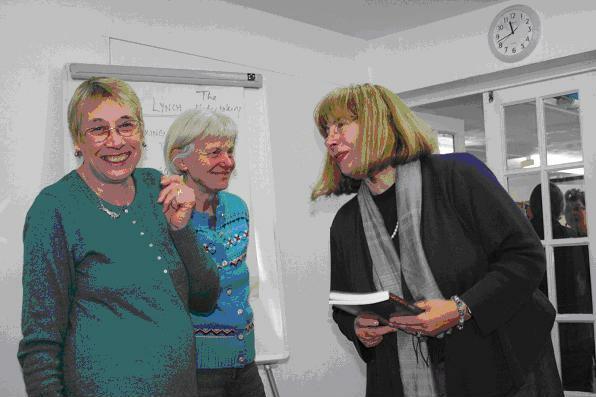 Main venue, the Teign Heritage Centre, attracted praise from audiences and poets alike. Fringe events were spread over two whole weeks and based at the TAAG gallery in Northumberland Place, where the Festival’s opening party celebrated an exhibition of artwork inspired by poetry, and displays of poetry which responded to visual images. Music came from mandolin virtuoso Marc Woodward and singer/guitarist Andy Brown, both of whom are also well known as accomplished poets. The Festival even included a session where local linguists read poetry in 12 different languages, and a presentation by Trinity School students of poems from workshops led by Graham Burchell and Ronnie Aaronson, two of the organisers. 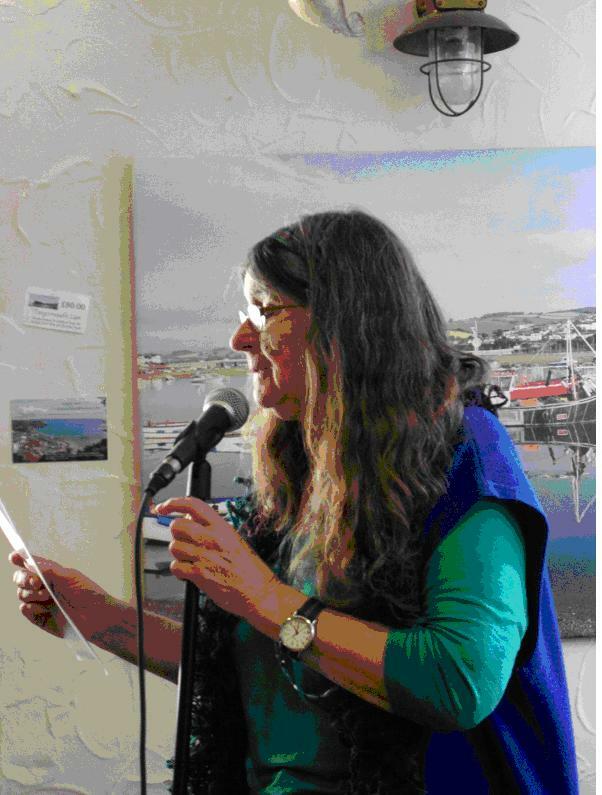 Sunday’s open mic in Oystercatchers Café was a lively session, many writers presenting new poems to a full-house audience. That was followed by the Festival finalé, two hours of non-stop originality from four of Devon’s finest home-grown performers: Robert Garnham, Jackie Juno, Clive Pig and James Turner.